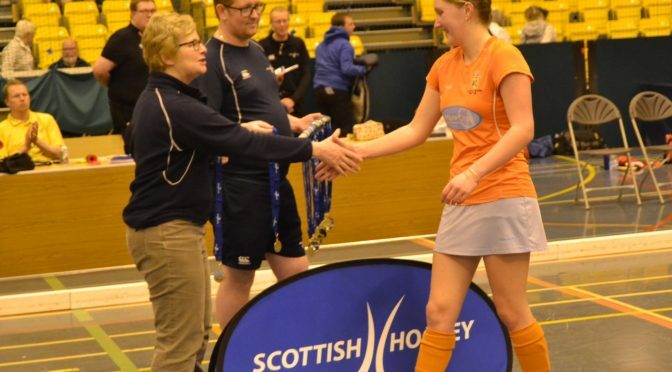 Clydesdale Western became 2018 Scottish Women’s Indoor Champions yesterday with an impressive 4-2 win vs. Dundee Wanderers at Perth. Millie Steiger opened the scoring after 15 minutes after great play from Margery Justice down the right. Wanderers hit back converting a short corner after 18 minutes and it stayed 1-1 till half time. Clydesdale Western started the second half brightly and Susie Gillman restored the lead. Bronwyn Shields added a third in 28 minutes as the girls took a grip on the game. Jess Buchanan made a great save from a Wanderers corner with six minutes to go and as time ticked by Wanderers took off their ‘keeper to press. Immediately after this, Susie Gillman was able to break away and make it 4-1 with two minutes left. Wanderers pressure resulted one goal and they forced another short corner which was initially saved by Jess Buchanan and then cleared by Margery Justice off the line. Final score – 4-2. 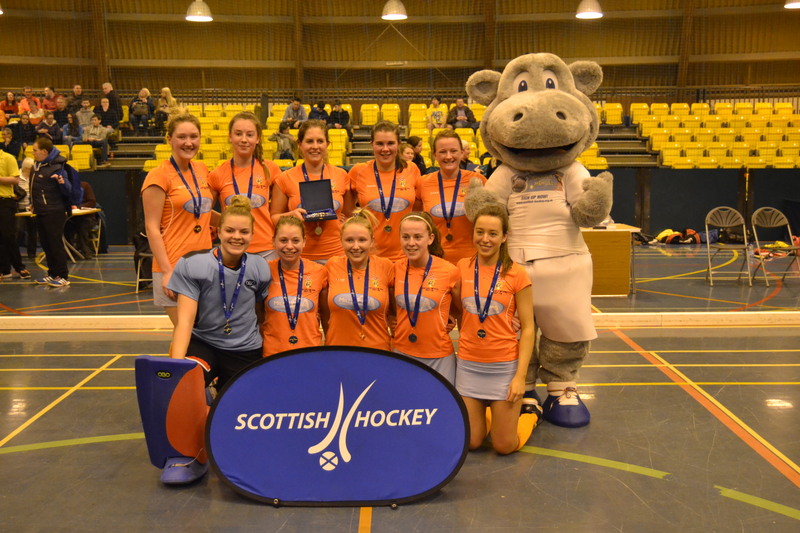 Congratulations to the squad and coach Peter Justice who have all put in hours of work over the last few seasons. Many thanks to Andy Lovat, Mark Pugh and Duncan Gray for letting us use many of their photos throughout the site.